DisplaySearch figures suggest that the Korean giant has taken an 18 per cent share of the global market for LCD monitors. 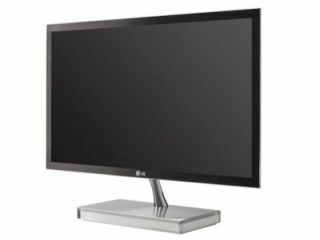 LG apparently provided 2.92 million of the 16.68 monitors sold around the world in 2010. "This represents a strong endorsement of LG's drive to increase investment in R&D over the last 12 months," said Si-hwan Park, Vice President of the Monitor Division at LG's Home Entertainment Company. "The reason for our success is simple: We've focused on listening to our customers and then innovating around those needs. "To keep on growing our market share, we're going to be moving strongly into CINEMA 3D monitors in the near future." LG is hoping that its IPS panels – which stands for In-Plane Switching – and Cinema 3D monitors will push them up to 20 per cent in 2011, with a focus on 'sophistication and slim design'.